At the Co-op we believe that children thrive when they ‘learn through play’. We assist preschool age children to grow and develop socially, emotionally and intellectually by creating a supportive environment for them to play and learn. Our pre-school program provides guidance in group participation, helping children make the transition from home to school. We also support parents and guardians through connections with other parents, the Early Childhood Educators, and with monthly parent education nights. We offer our preschool program four days a week, from 9am – 1pm. Families can choose to enroll their children for two, three or four days. We also offer an optional Afternoon Care Program from 1pm – 3pm on Tuesdays and Thursdays. 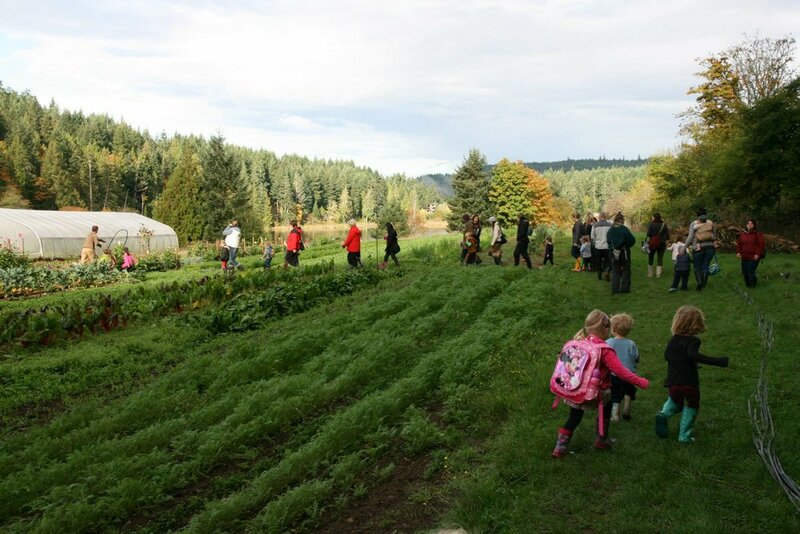 Parent participation lies at the heart of the co-op offering, where the parents literally “own the school”. The active and engaged role parents play in the day to day learning environment and in maintaining the school is the primary thing that sets the co-op apart. In order to make our school accessible to a diversity of families, we offer parents two participation levels, “full” and “light” participation.Participation levels are designed to allow busy working families the opportunity to still be an active part of their child’s special preschool years. Light participation families pay higher enrollment fees in lieu of taking on as many duties as full participation families. Please contact us to find out more about parent roles and participation options. Our school year follows the Gulf Islands School District (#64) calendar but commences one week later in September and ends one week earlier in June.